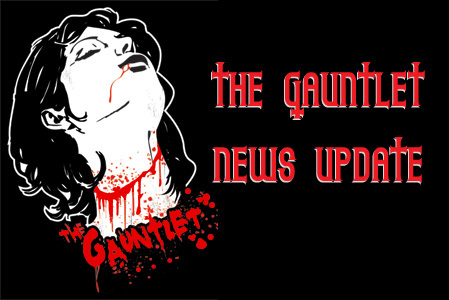 The Gauntlet - IN LEGEND Back on Tour with VAN CANTO! IN LEGEND Back on Tour with VAN CANTO! It's that time again: After having successfully completed the 'Tour of Force' in Spring 2010, the guys from IN LEGEND are once again going to support the a-cappella metal band VAN CANTO for a set of 10 dates across Germany and Switzerland. One more time, this legendary double will give proof that one does not necessarily need a guitar onstage in order to perform powerful, passionate, and harmonious music spanning across the broader field of heavy metal! In addition to that, several shows will also feature the power metallers ORDEN OGAN who want to bring back the six-string instruments at least for a few times. In contrast to the vocal acrobats VAN CANTO, who have already been taking the metal scene by storm ever since the year 2007, IN LEGEND, the piano project of VAN CANTO drummer Bastian Emig, has not been around as a real band until early 2010. Nevertheless, the three-piece could already celebrate some valuable successes during this first year. Apart from the first tour (http://www.inlegend.de/concerts/) that gave mastermind Bastian and his two comrades Daniel Wicke (bass) and Dennis Otto (drums) the opportunity to play in sold-out venues in front of up to 600 people, the guys also released their debut EP Pandemonium (which was limited to 500 physical copies and is also offered as a free download on the band's website: http://www.inlegend.de/de/media/releases/pandemonium-ep/free-legal-download/) completely on their own. Along with an extraordinary video for the title track (http://www.inlegend.de/media/video/), this first EP not only paved new musical ways due to its originality and for having the guts to try new experiments, but was also instantly well-received by fans and relevant media. The next year shall in fact prove that this band only knows one direction in the future: Straight forward!